First series of one-day presentation events, Theory and practical test rides. Kopřivnice: For the first time in its history, thecompany TATRA, a.s. has prepared a series of one-day promoting and business presentation events. In fourteen localities of the Czech Republic, Slovakia, Hungary and Poland the company will introduce its new products under the overall name The New TATRA to selected partners, customers and representatives of news media with a substantial assistance of its individual dealers. The initial meeting will take place on Thursday of August 19, 2010 on the proving ground – polygon of TATRA, a.s. in Kopřivnice. There will be theoretical and practical presentation of new products and services of TATRA, a.s. where modernized vehicles of the pivotal manufacturing programme TERRN01 Facelift and civil versions of vehicles of series T 810 and T 815-7 will be at your disposal so that you can get an impression from test rides. The vehicles of the TERRN01 and T 815-7 series are equipped with electronic TATRA-NORGREN gear shift system. A new optional service for customers is called TATRA Service PlusTM. The premium service for key customers includes exclusive care in vehicle servicing, repair coordination directly by the manufacturer, option to use the toll-free customers service line and in certain circumstances compensation for vehicle down-time. Another step in addressing customer needs is the new standard Extended warranty that is unparalleled in the heavy-duty off-road segment. Warranty conditions include: duration of 36 months for all types of TATRA vehicles, mileage of up to 300,000 km, 12 months of full warranty on all components, and 36-month warranty on vehicle powertrain. The main standard product of the automobile factory TATRA is the TERRN01 civil programme which has undergone a construction facelift this June. The TERRN0 1 commercial range mainly comprises COE chassis, platforms and tippers with the application of the 4x4, 6x4, 6x6 and 8x8 wheel drives. The designation KING FRAME decorates the combined suspension consisting of mechanical leaf or helical springs and high-pressure air springs. The cab aerodynamics of the TERRN0 1 model range have been optimized and now include a distinctive deflector, a completely redesigned mask, a new split bumper and a new main headlamp system. This new redesigned shape gives improved airflow around the vehicle cab and significantly helps reduce splashing on the side door windows. The front bumper has also undergone significant improvements, and is now made from three steel stampings. Unlike the previous design, the main lamps are now spot headlamps. Optional Xenon lamps can also be fitted. The hinged walls of the main headlamps make bulb replacement much easier. The bonnet is now a single piece and has been given more cooling air inputs, allowing non-original liquid-cooled engines to be fitted to the vehicle. The bonnet opening control system is now easier to operate. Changes have been made to the continuous cab door sealing system and the location of the A/C condenser, which is now situated behind the front bumper. There have also been changes in the vehicle boarding system. Larger footboard box makes boarding the truck easier, and it uses a more robust material – a highly durable polyethylene which remains flexible and stable in temperatures as low as -50 °C. The easier wiring system and increased volume of the windshield washer tank ensure higher operator comfort levels. The vehicle also features new aluminum side guards. The new-look TERRN0 1 model range with its optimized cab aerodynamics reflects TATRA’s constant drive to meet customer requirements. The T 810 is a brand new commercial range adapted from a highly successful customer project of a military vehicle. No other vehicle of the medium-duty category weighing 15.5 t can offer three driving axles. This gives the T 810 exceptional handling and riding characteristics both on and off road. The portal axle design with hub reduction gear and a custom-designed solution for the axle differentials provides unmatched ground clearance of 480 mm under the axle housing. Thanks to its extraordinary capability in cross-axle twisting of up to 840 mm and excellent traction in all driving conditions, the T 810 truck is able to achieve 100% hill climbing capacity at total weight. With a ramp angle of 132 degrees or 138 degrees (according to wheelbase variations), a front and rear approach angle of 37 or 35 degrees respectively, and a step-crossing ability of 600 mm, it is clear that the T 810 is an absolute class leader. The T 810 can be optionally equipped with a tried-and-tested single-circuit or dual-circuit tire inflation system controlled by the driver. Safe and stable driving in all conditions is one of the fundamental characteristics of the T 810 truck. The high performance engine (198 kW/270 hp) is entirely consistent with the chassis’ ability to offer a high degree of traction at all times. Credit for this goes to the TATRA RIGID portal axles, especially their mounting and suspension. The front rigid portal axle with gear ratio 2.294 and the hub reduction gear 2.437 is equipped with an electropneumatically controlled axle differential lock and WABCO disc brakes. The axle is guided by the upper pair of longitudinal guide rods and the lower triangular suspension anchored to the vehicle frame. It is suspended by coil springs with telescopic shock absorbers, hydraulic stop, and a torsion stabilizer. Thanks to this solution, the entire steering system does not produce uncomfortable steering wheel drag when overcoming longitudinal and transverse ground unevenness – a problem which is normal for other design solutions. The central and rear TATRA RIGID portal axles form a tandem pair. Both axles are equipped with electropneumatically controlled axle differential locks and WABCO disc brakes. In addition, the inter-axle differential with electro-pneumatic lock and rear axle drive outlet are situated in the central axle housing. The tandem pair is guided by six longitudinal guide rods anchored to the vehicle frame and suspended by a pair of sixteen-leaf springs. The T 810 has a high maximum speed of 106 km/h without a limiter and 85 km/h with a limiter, ensuring that the truck can operate very efficiently on roads of all categories. 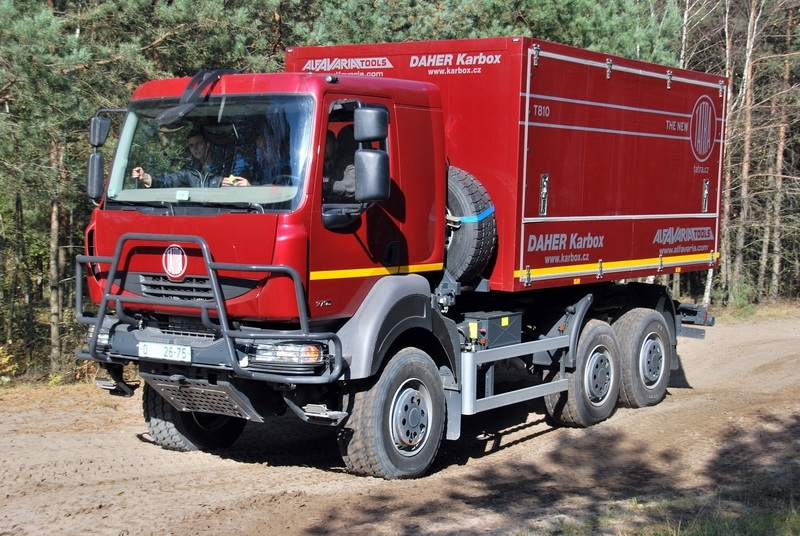 A high degree of stability is also maintained in a vehicle combination with a 12 t trailer and a total weight of up to 27.5 t.
Two wheelbase variants, 3,150 mm or 3,540 mm, create enough space to fit the chassis with specialized superstructures, including high assembly platforms, hydraulic cranes and large box applications. The option to fit the T 810 truck with up to three PTOs enables a wide variety of superstructures to be attached. 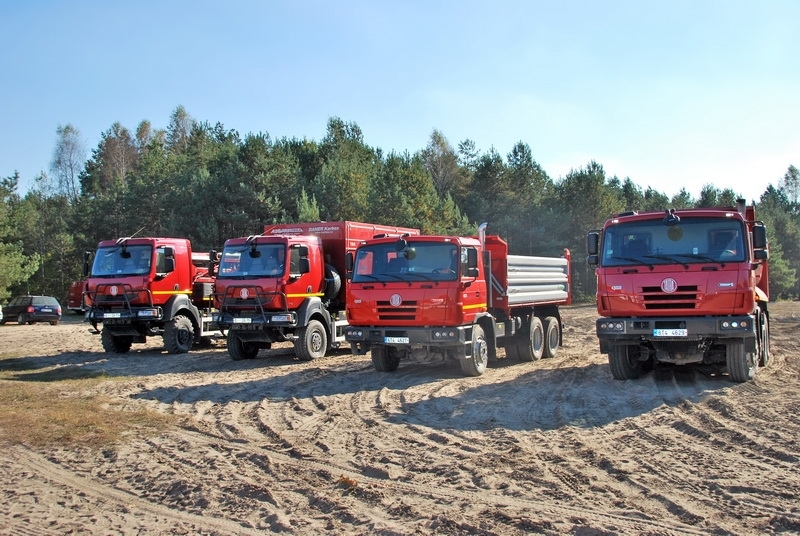 Lowest overall vehicle height in its category, easy ground clearance control while driving, and fordability of 1,200 mm are just a few selected qualities that give this water tender excellent action capability for firefighting operations and natural disaster relief. This water tender is finalized by THT, s.r.o. 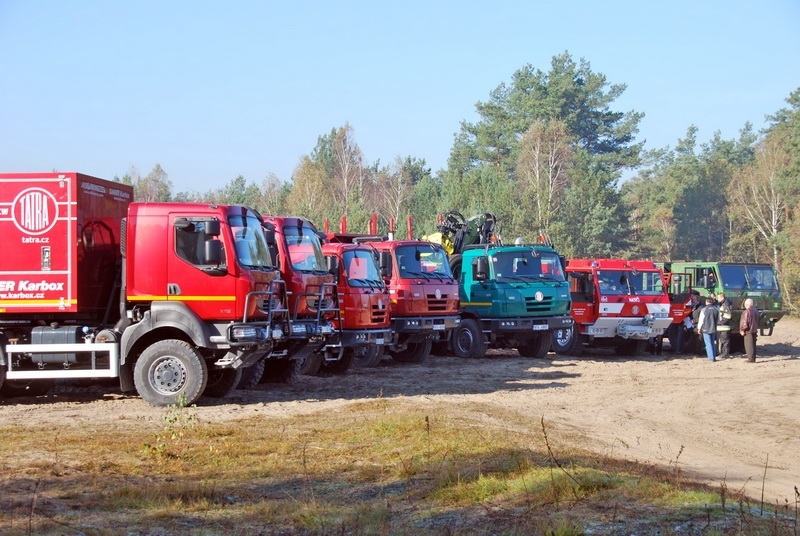 Polička, a leading Central European specialist in firefighting vehicles. Using the most modern chassis of the classic TATRA concept, it is designed to transport large quantities of extinguishing agents and 1+3 firefighting crew. With a modern fire superstructure featuring an aluminum profile frame and aluminum plating, the tanker can transport up to 9,000 l of water and 540 l of foam compound. It can operate at low water pressure (3,000 l/min at 1.0 MPa) or high water pressure (300 l/min at 4.0 MPa). Following in the footsteps of its widely acclaimed predecessors, the vehicle is based on the TATRA 815-731R32/411 chassis and powered by the original direct air-cooled V-8 TATRA engine offering maximum power of 325 kW/442 hp and complying with EURO 5 SCR emission specifications. The chassis makes full use of the widely appreciated benefits of a backbone frame, independent, pneumatically suspended half-axles and a low-mounted modern cab. The TATRA vehicle concept allows for mounting of various superstructures without the need for an auxiliary interframe. As a result, the water tender has both a low center of gravity, which offers excellent handling and riding characteristics in rough terrain and on roads and a low overall vehicle height, which eliminates the need for platforms to get in and out of the vehicle and thus the downtime of the firefighting crew when going into action. The powerful, direct air-cooled TATRA engine provides this 25-t vehicle with an excellent specific performance of 13 kW per ton. The semi-automatic TATRA-NORGREN gear shift system ensures high levels of comfort and driving safety. 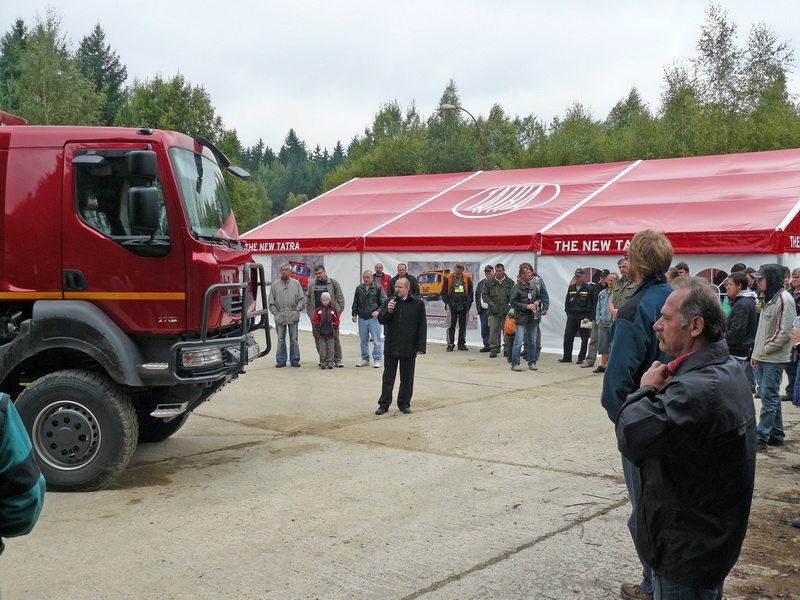 The original low-mounted cab complying with ergonomic fire regulations stipulated by the ČSN EN 1846 standard gives an unbeatably low overall vehicle height of 2.85 m.
The air suspension system on all semi-axles allows for very simple adjustments of the basic ground clearance (360 mm) by up to +90/-120 mm – all while driving and by simply pressing a 3-position button. The vehicle shows its outstanding capabilities especially there where it is necessary to transport a large volume of water within a short period of time. backward to select a higher or lower gear. The preselected gear is indicated on the display. The gear is engaged once the clutch pedal is depressed. The clutch pedal can be released after a beep which indicates a successful gear shift. modes to completely customize it to your needs. Individual submodes of the automatic gear shift mode prioritize the following: AE – driving economy, AM – vehicle load, AP – driving dynamics, AS – self-recovery, MB – engine brake. 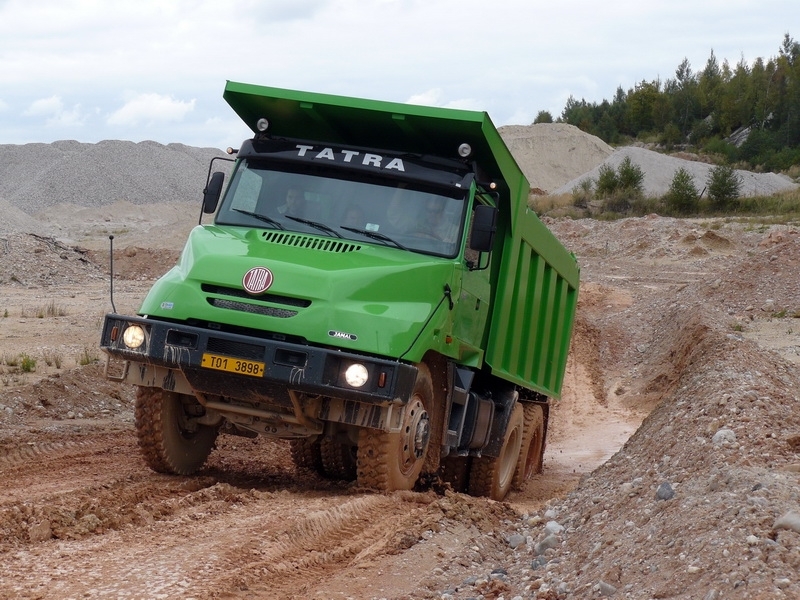 In alignment with its customer focus, TATRA offers a thorough training system to all interested parties, with an emphasis on optimum utilization of the TATRA-NORGREN electronic gear shift system. The internal combustion engine and later the first car were created out of the ferment of the Industrial Revolution. The idea to manufacture the first vehicle driven by the energy from the combustion engine in Austria-Hungary right in Kopřivnice, at that time called Nesselsdorf in the official German language, was implemented thanks to the enthusiasm of an industrialist from Liberec, Baron Theodor von Liebieg. Any historical paper dealing with TATRA vehicles usually begins with the name of the company’s founder Ignác Šustala (Ignaz Schustala). It was him who gave origin to everything when he started to manufacture coaches and carriages in Kopřivnice in 1850. Unfortunately, but perhaps fortunately, he did not live until the capitalization of his company in 1891. Even his sons who originally occupied significant positions in the factory did not participate in the development of the idea to manufacture an automobile. As a protest against the practices in the leadership of the joint-stock company they sold their shares (incidentally below cost) and out of spite they decided to establish a competitive enterprise – later called Vagónka Studénka - in 1895 and 1896. It was at the time when railroad cars were also manufactured in Kopřivnice. Then the company was led by the director, engineer and technician Hugo Fisher von Roslerstamm. He might have considered how to employ the art of wheelwrights, upholsterers and other professionals who slowly began to lose their work when the interest in coaches and buggies declined. His idea of manufacturing a car might have been prompted by some of the photographs of a “horseless carriage“ published in the magazine La Locomotion Automobile (its bound volumes from 1895 to 1898 are still kept in the archive of the truck factory). The proctor Fisher might have been thinking: “We are able to produce coaches and buggies and in comparison with those in the photographs they do not have but mere details – engine, gears and a steering wheel! And then a car would be made. Mere details – the engine – could be ordered from another manufacturer. And the rest and the assembly could fall again to Kopřivnice“. It was an idea really ingenious in its simplicity! And in this moment a key man came to the stage – Baron Theodor von Liebieg. Only because of his friendship, Karl Benz agreed to deliver to Kopřivnice one of the first two-cylinder engines made in 1897 and undertook to supply other engines regularly for the first series of Kopřivnice cars. His important role in the development of automobile industry in the later Czechoslovakia can be also documented by the fact that Vienna with its carriage factory K. u. k Hofwagenfabrik Ludwig Lohner and Cie was the other advantageous place for a car manufacturing in Austria – Hungary. The correspondence of Ludwig Lohner to Georges Kellner of Paris from 1898 proves that had he not hesitated to buy patents for Austria – Hungary from Daimler or had he contacted Benz with the assistance of Liebieg, the first car in Austria would not have left Kopřivnice but Vienna with high probability. The merits of Baron Liebieg as the mediator of the business connection between the Kopřivnice vehicle factory and the company Benz in Mannheim are highlighted in this way. And thus only several years after the automobile was “born“ as we know it today, the Kopřivnice people made their car– Prasident. 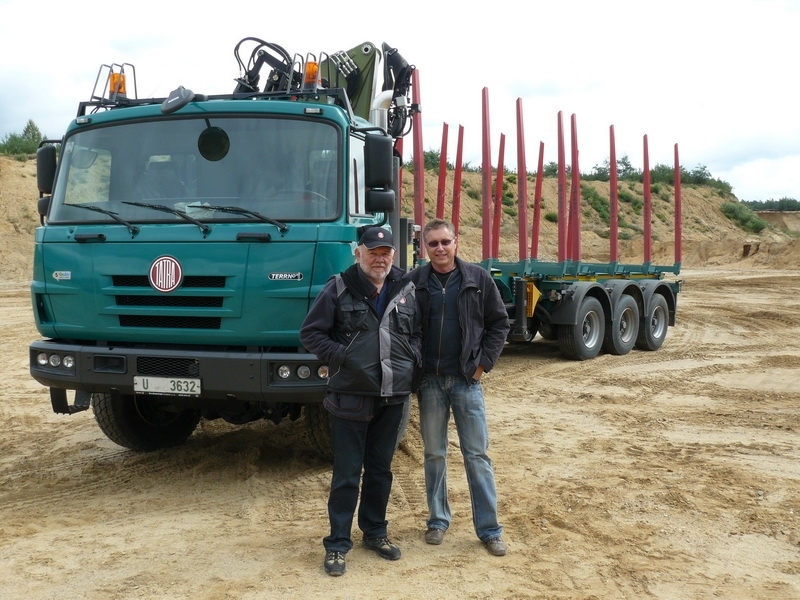 And the first truck from Kopřivnice was made only a year after the first truck in the world. It is obvious that the production of predecessors of TATRA vehicles, at their time called NW, were always at the top of the development. Shortly after that the first fully driven truck Jaguar was made which seems to feature the segment of vehicles that later brought world success to TATRA. Mass production of trucks was launched in the mid-1910s. The brand TATRA first appeared on vehicles before 1920. After a consolidation of sorts of the management of the company, based on the new political order in Central Europe and on the establishment of independent Czechoslovakia, the godfather of the company, Hans Ledwinka from Austria, surprised the whole world with what we now call the “TATRA Concept”. In 1923, the company introduced a new product: a chassis consisting of a central backbone tube, the front end of which carried an air-cooled engine and a transmission, and independent swing half-axles. The following years of production of such vehicles proved the ingenuity of the solution. It gradually became used in the form of a light design on special vehicles and later also on the heaviest off-road products. At the time of World War II, a truck equipped with an air-cooled twelve-cylinder engine was first manufactured. 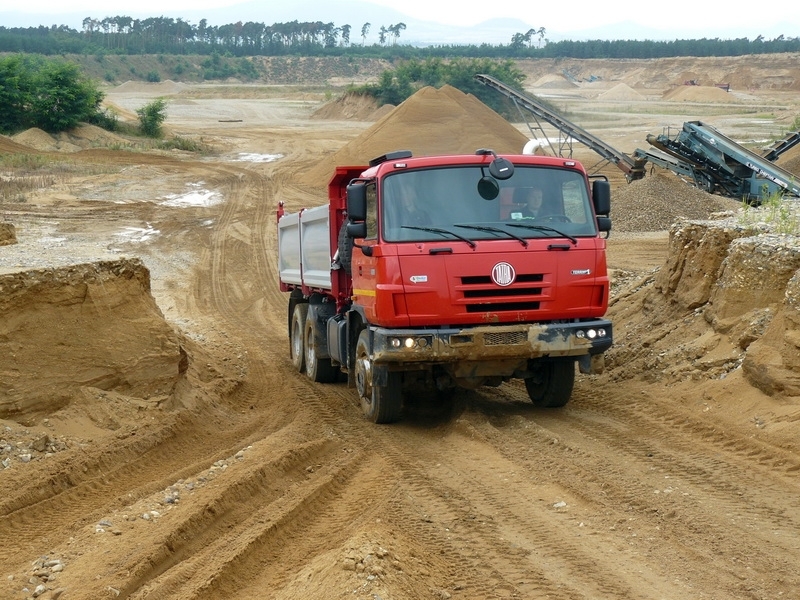 In the following decades, its three-axle all-wheel-drive chassis literally towed and carried materials to large constructions sites all over half of the globe. 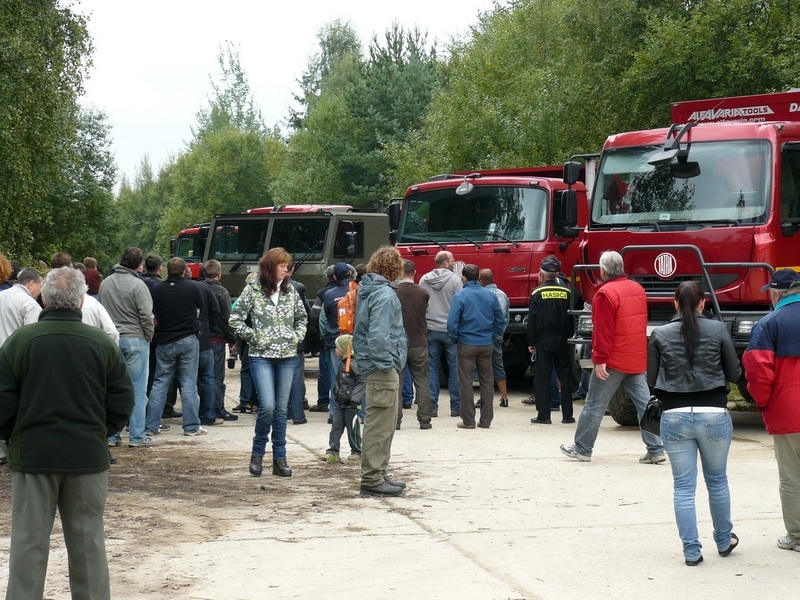 The esteem and respect gained by T 111 was materialized in the monument built in Magadan in far Siberia, a territory where other vehicles do not, by far, reach the service life and abilities of the TATRAs. The experience obtained from the design and operation of heavy trucks reflected in the development of the T 138/148 model series. One cannot imagine a better model of Czechoslovak trucks other than these hooded trucks equipped with an eight-cylinder air-cooled engine. TATRA enriched the Czech early spring of 1967 with the first four-axle T 813 8x8 Kolos equipped with a central tube. In 1982, the limited series of one hundred T 148s was followed by the unification of model series and the introduction of the cab-over T 815. Its development culminated by the variant equipped with the EURO 2 engine. The T 815 series was crucial for the development of the TATRAs in the sense that during the course of its production, a decision was made (after many discussions and hard confrontations) concerning the further development of a directly air-cooled supercharged V8 engine with a compressed-air intercooler, towards the Euro 0 to Euro 5 emission specifications. Following minimal changes in design, the engine moved up from 177 kW and 850 Nm to current 325 kW and 2,100 Nm of torque. However, the 1989 change in political and social conditions caused that focusing on a single model series became a significant burden to the development of the business. 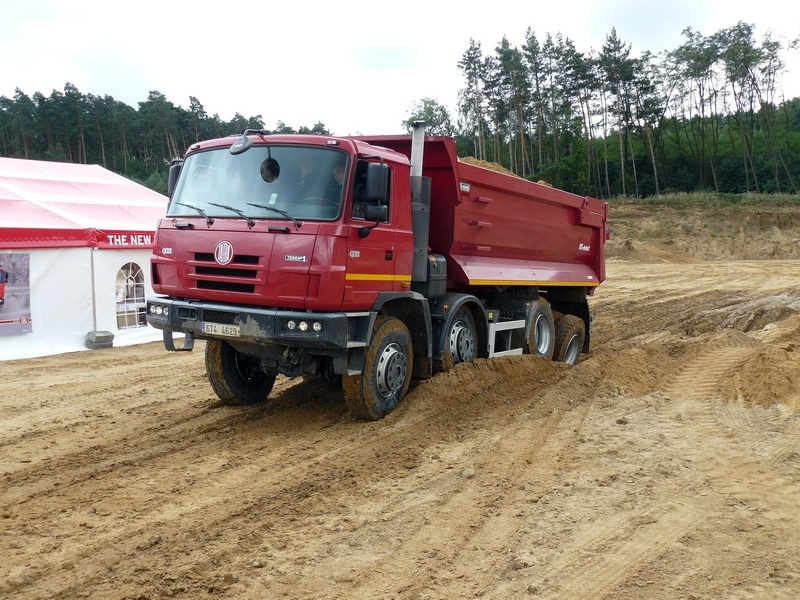 A breakthrough of sorts in the TATRA production was the customer project Liwa. 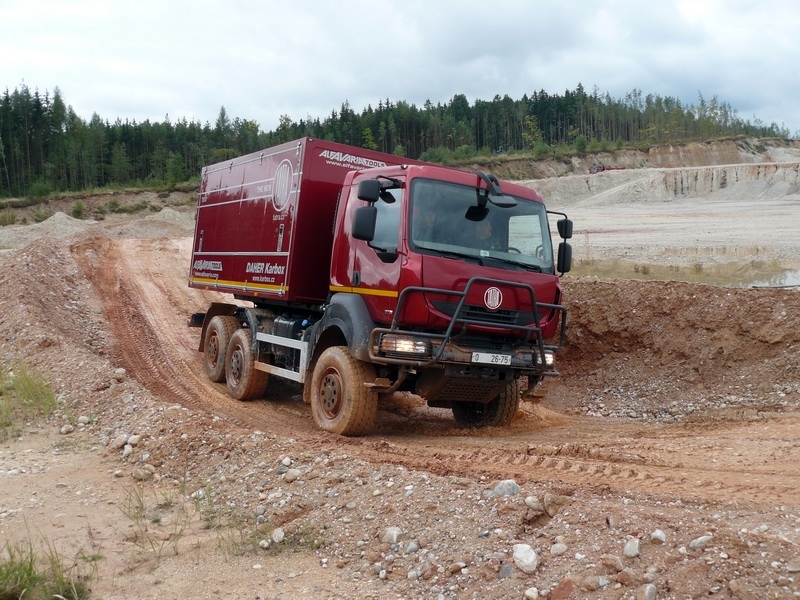 On the basis of requirements of an end customer, a liquid-cooled KHD Deutz engine and an automatic Twin Disc transmission were successfully implanted in the vehicle T 816 8x8. Winning a competitive bid for the army of United Arab Emirates did not only result in a series of 1,127 vehicles manufactured and delivered within eighteen months, but also in a significant advancement in the manufacturing strategy. This brought the creation of the model series of Armax (1999) and Force (1999) vehicles. The former was based on the civil production of T 815s, which was named TERRN01 (1997), and applied the method of “militarization” to prepare vehicles to be used for the purposes of special task forces. The latter series (Force) was based on the possibilities of installing engines and transmissions of foreign manufacture in the original TATRA Concept. The experience with the installation of liquid-cooled engines also reflected in the possibility of equipping the civil versions of TERRN01 in this manner as well. In addition, the civil series of T 163 (Jamal, 1999) was created for work on the roughest terrains. After a long time of dominance of cab-over trucks, these vehicles had a hood. TATRA achieved significant success in the field of development of its own air-cooled engines. First of all, it was the first and only in the world to homologate a supercharged diesel V8 engine with a compressed-air intercooler and a mechanical injection pump of the Euro 3 emission specification. Later, in 2006, after having equipped the engine with an SCR technology system (treatment of exhaust gases by injecting the AdBlue solution – 32.5% solution of urea in water), also as the Euro 4 specification, and then the Euro 5 specification (2008). This step is also an unprecedented primacy in the area of global automobile design. The prediction from 1988/1989, stating that TATRA is capable of offering its vehicles with original directly air-cooled engines to customers at least until 2010 to 2013, was therefore correct! In 2002, TATRA purchased intellectual property, rights and technical documentation with respect to production of the medium-weight military vehicle Ross R210, approved for operation in the Army of the Czech Republic. Upon successful modernization of the vehicle with a ladder frame and solid axles, TATRA entered into confirmed cooperation with the Army of the Czech Republic in 2004, and later also into a confirmed (2006) contract to rearm 556 medium-weight military vehicles with the TATRA T810 ATS model. The customer project of modernization was based on the possibilities of the original classic frame with original solid portal axles TATRA-RIGID. Customer satisfaction and further development of T 810s led to a civil version, which was supplied to the market for the first time in 2010. In the meantime, however, design and development worked very hard on a completely new series of special vehicles, originally designated as T 817, and later as T 815-7 in the course of homologation proceedings. After all, the Force series was designated as T 815-6 for the very same reason. The first medium-weight vehicle to appear in 2004 was T 817 4x4 equipped with a Cummins engine and a ZF transmission. In the two following years, the series was completed with the 8x8 and 6x6 versions. There are strong unifying relations between individual models of the new series, and yet their design allows great variability of engines and powertrains that may be used on them. In addition to the air-cooled TATRA T3 engines (supercharged V8 with a compressed-air intercooler, meeting the emission standards of Euro 2, Euro 3, Euro 4 and Euro 5 without the use of an electronic injection system), liquid-cooled Cummins, Caterpillar or Navistar engines may be used on the vehicles as well. Also, an automatic transmission may be used instead of a mechanically controlled transmission. The new series of vehicles is suitable not only for transportation of passengers, but also of specific and sensitive military materials and special extensions, such as ammunition trailers, electronic equipment, radar and other special containers or box bodies. The low height of the all-metal tilt cab and of the entire vehicle allows easy air transport in standard C-130 Herkules airplanes. The design of the vehicles allows additional mounting of supplemental armoring to the cab in several levels of protection according to STANAG 4569. The special series of T 815-7 has also found its way to customers. 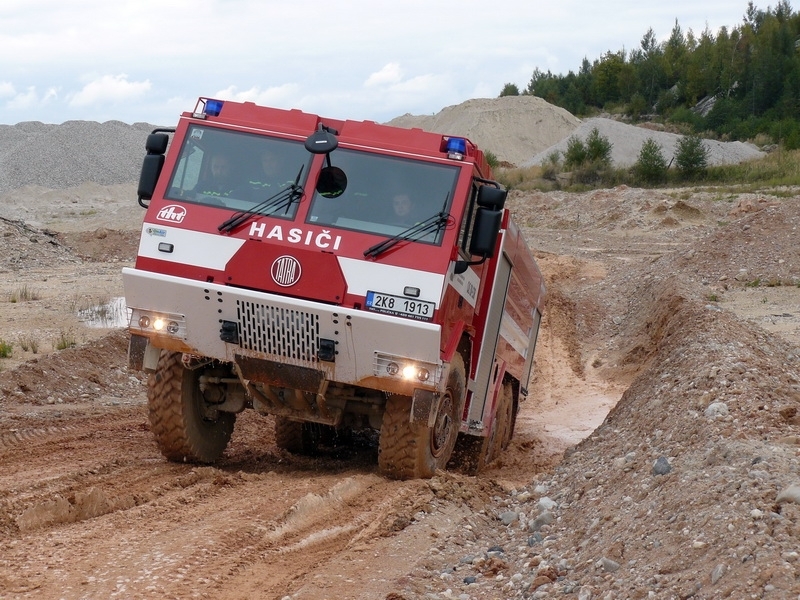 The first serially produced civil vehicles T 815-7 hit the roads in the form of CAS 30 rescue trucks this year. 2010 is the year of introduction of new products bearing the collective name THE NEW TATRA. The pivotal manufacturing program TERRN01 and the civil application T 815-7 received the electronic gear shift system TATRA-NORGREN. The after-sales services were improved by the new Extended Warranty and the supplemental service TATRA Service PlusTM. 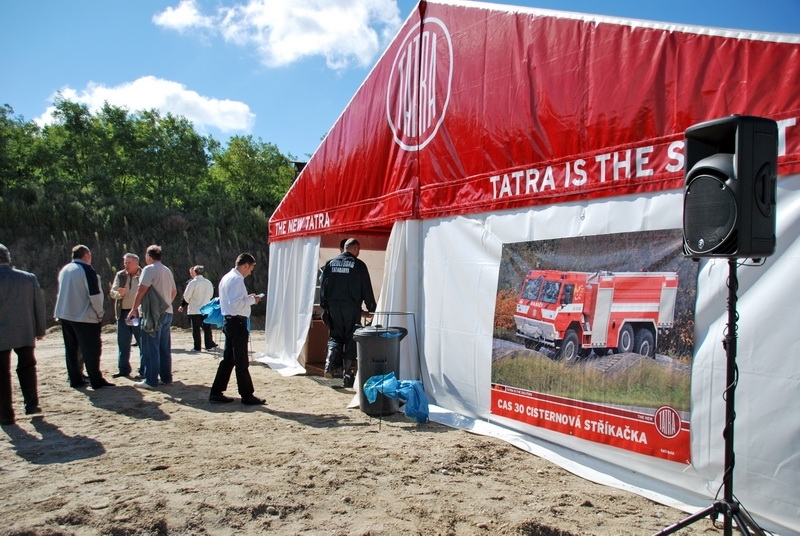 In the year of its 160th anniversary, TATRA, a.s., organizes a series of presentation events named TATRA Road Show. August 19,2010 TATRA, a. s. Kopřivnice, Proving ground - Polygon TATRA, a. s.